Have the recent four day weekends put you in a holiday mood? 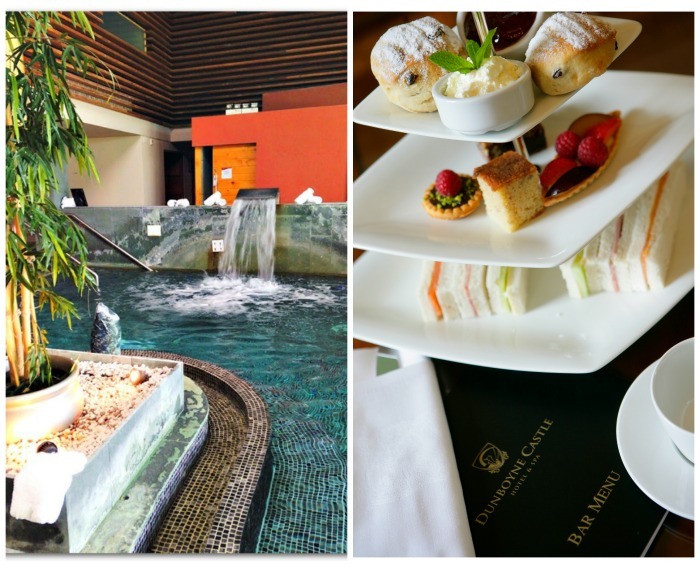 If you’re looking forward to the warmer months ahead and you want to kick off the summer in style, you might want to check out the Mint Twist package being launched by Dunboyne Castle Hotel and Spa. 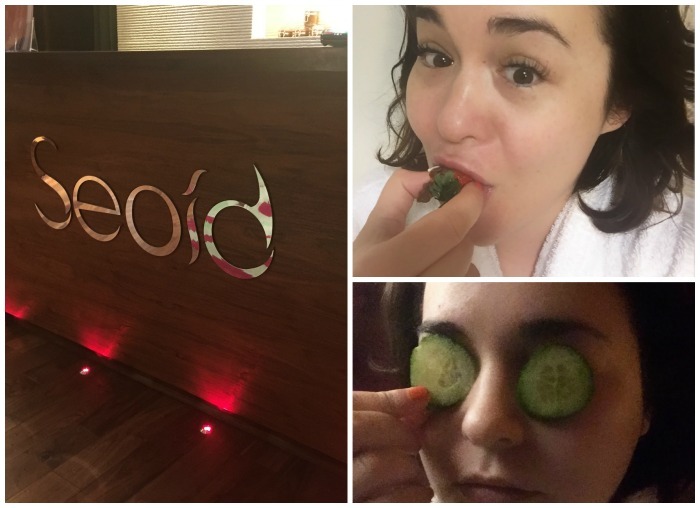 Dunboyne couldn’t be handier to get to from Dublin and Seoid spa is a little gem – or not so little, stretching as it does over three floors. The relaxation area is lovely and chilled, with plenty of fruit, water and teas, which I always appreciate - but the hydrotherapy area is the star of the show. The pool is lovely and spacious – while not shaped for swimming, it’s perfect for doing some leisurely circuits of the various underwater jets and bubble seats. 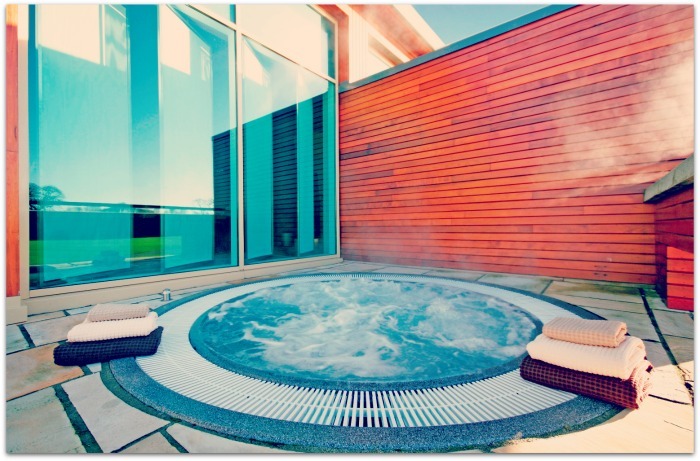 An hour or two here does absolute wonders for the body, lulling you into a deep state of relaxation while easing out any niggly muscular aches and pains. 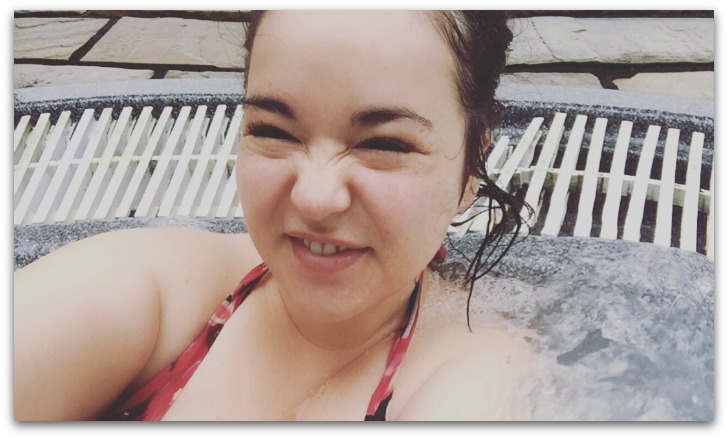 Just don’t get so relaxed that you forget about the outdoor hot-tub – I got it all to myself for a good half hour, and felt like the luckiest woman alive. Schedule plenty of time to hang out in Seoid before your treatment – the Peppermint and Seaweed Sugar Glow involves all sorts of lovely oils you’ll want to leave on your skin for as long as possible when you’re done. The treatment is 55 minutes of olfactory joy, with the uplifting fragrances of organic peppermint leaf along with exfoliating sugar and antioxidant rich seaweed; I’m not the greatest fan of body scrubs but I genuinely enjoyed this one, and my skin still feels softer and smoother weeks later. I’ll be trying to squeeze in another before my holiday in May! Taking full advantage of the facilities! The package also includes a divine Mint Afternoon Tea, served in the filled Terrace Lounge or, if you get lucky with the weather, outside on the terrace. Featuring treats like mint meringue pie (my favourite), peppermint cake with white chocolate icing and mint panna cotta with honeycomb alongside a hearty selection of sandwiches and scones, this will set you up nicely for a peaceful night’s sleep. The Mint Twist Package includes afternoon tea, spa treatment and 1 nights B&B for €160 pp based on two people sharing throughout May; check out the website for more. Fluff and Fripperies was a guest of the hotel.